Over 95% of all the Tourmaline in the world is Schorl. Tourmaline's wide variety of colors is due to the chemical makeup of the stone. 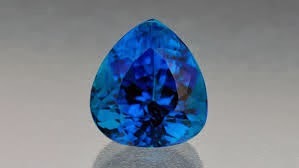 Usually, iron-rich tourmalines are black to bluish-black to deep brown, while magnesium-rich varieties are brown to yellow, and lithium-rich tourmalines are almost any color: blue, green, red, yellow, pink, etc. Rarely, it is colorless. Bi-colored and multicolored crystals are common, reflecting variations of fluid chemistry during crystallization. 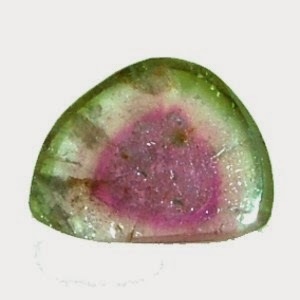 Crystals may be green at one end and pink at the other, or green on the outside and pink inside; this type is called Watermelon Tourmaline. Some forms of tourmaline are Dichroic, in that they change color when viewed from different directions. Some tourmaline gems, especially pink to red colored stones, are altered by heat treatment to improve their color. Irradiation is almost impossible to detect in tourmalines. Heat treatment is also used to enhance tourmaline. 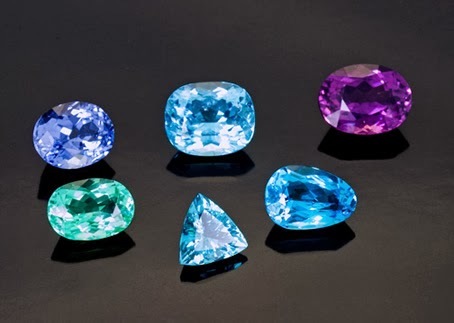 Heavily-included tourmalines, such as Rubellite and Brazilian Paraiba, are sometimes clarity-enhanced. 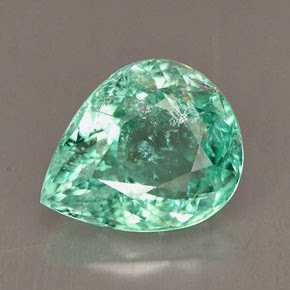 A clarity-enhanced tourmaline (especially Paraiba) is worth much less than a non-treated gem. Another highly valuable variety is chrome tourmaline, a rare type of dravite tourmaline from Tanzania. Chrome tourmaline is a rich green color due to the presence of chromium atoms in the crystal; chromium also produces the green color of emeralds. 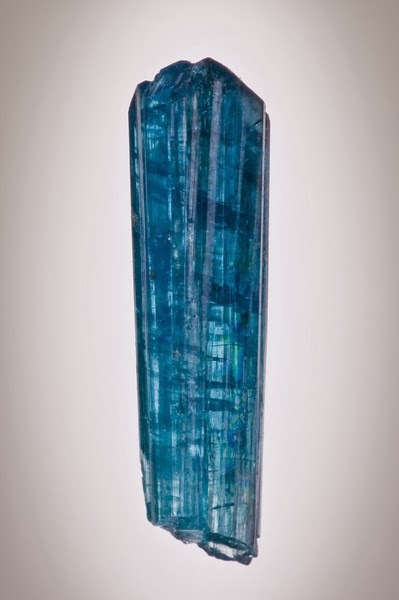 Tourmalines mined in the Paraiba mines in Brazil are known for their beautiful colors. They can range from neon blue, aqua, green, purple, to pale "Brazilian Emeralds" which are a very light green color. 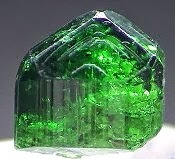 I've (sadly) seen a number of these pale or neon-pale green stones on ebay AND etsy, sold as "Muzo emeralds" when in fact they are tourmaline (or perhaps glass). On etsy, with one seller in particular, it's a giveaway when they offer a "Muzo emerald" ring in a huge carat weight for under $150. 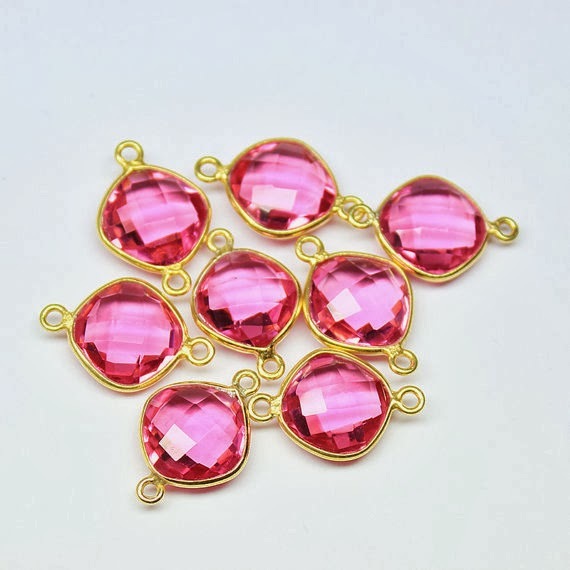 Lastly, I want to mention that I've seen a LOT of jewelry on Etsy offered with lovely red stones, which are called "Rubellite Quartz". There is NO SUCH GEM as "Rubellite Quartz". Most likely, rather than even being dyed quartz, it is "hydroquartz" which is another name for a manmade GLASS stone. 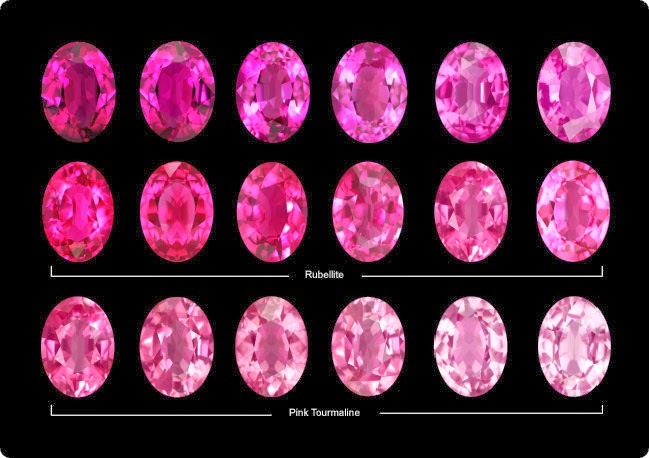 So if you see anything listed as "Rubellite Quartz" (or "Emerald Quartz", "Tanzanite Quartz", "London Blue Quartz", basically any gemstone plus "quartz"), it is NOT a gemstone at all. If you love the look of the vivid stone, that's great, but if you're thinking you're buying a gemstone (and they can be expensive), you are being misled. BUYER BEWARE! Quartz Doublet: What Is It? Tinted GLUE?? ?